Every way is good to increase traffic safety. The car is still the most popular means of transportation, and owning one in many countries has ceased to be a luxury and has become a standard since buying a car and keeping it is much cheaper than years ago. As a result, dozens of cities are struggling with street traffic and traffic jams blocking the streets, oftentimes for long hours. 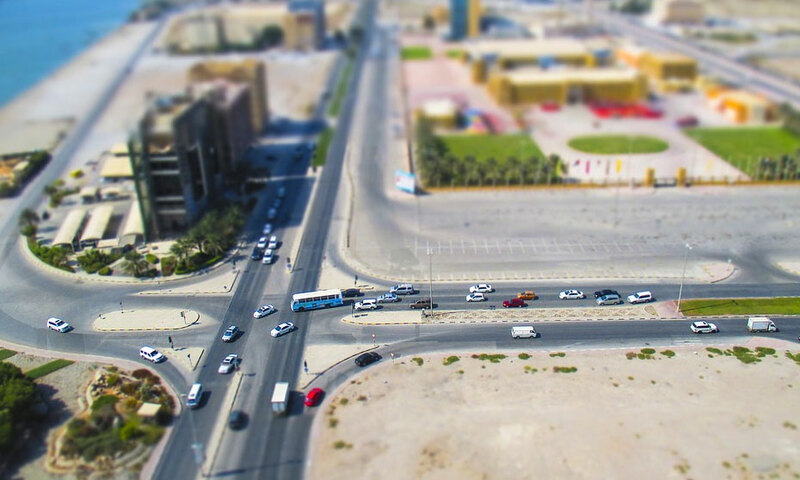 Increasing the number of cars on the roads has affected the situation for pedestrians. With increased traffic, they are more exposed to dangers, even at intersections. Consequently, various solutions have been considered to improve the safety of people crossing the road and designed a unique “zebra” crossing. 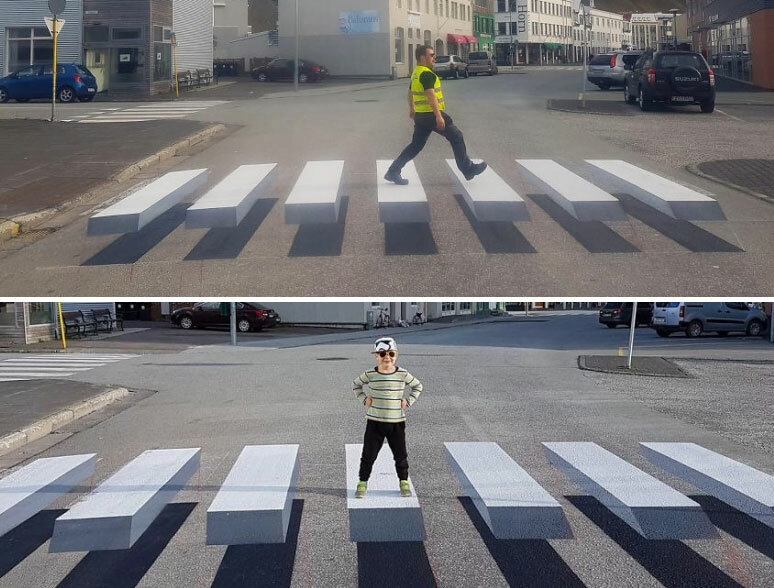 In the small fishing town of Ísafjörður in Iceland, a pedestrian crossing was painted in 3D. With optical illusion, drivers have the impression that instead of painted belts on the roadway, longitudinal white crates / boxes are laid on the asphalt, which results in the immediate removal of the foot from the gas. The idea turned out to be a hit, as all the drivers began to slow down before the pass, so pedestrian safety improved. The Icelandic Environment Commissioner, Ralf Trylla, is pleased with the 3D transition and admits that the inspiration came from a similar project in New Delhi, India. Compared to speeding up or building thresholds, the 3D transition is a much cheaper solution to improve security, so every city should consider such a way to paint this stripes. They sat next to each other on the plane. When they looked at each other, they could not believe their own eyes! He secretly filmed his partner, who did unimaginable things to a cat. Warning: Not for sensitive people! 4 glasses of water drunk right after waking will change your life. Don’t believe it? Give it a try, you’ll be shocked!